PORT ADELAIDE midfielder Willem Drew has re-committed to the club for another two years. Taken with pick 33 in the 2016 NAB AFL Draft from the North Ballarat Rebels, Drew has yet to make his AFL debut but has shown signs that he will have a strong future at AFL level. The 190 centimetre, 85 kilogram midfielder impressed in the SANFL in 2017, playing 20 games and kicking six goals while averaging more than 15 disposals per game. Injury has restricted the 19-year-old to just one game with the Magpies this season. His new contract will see him remain at Alberton until the end of 2020. 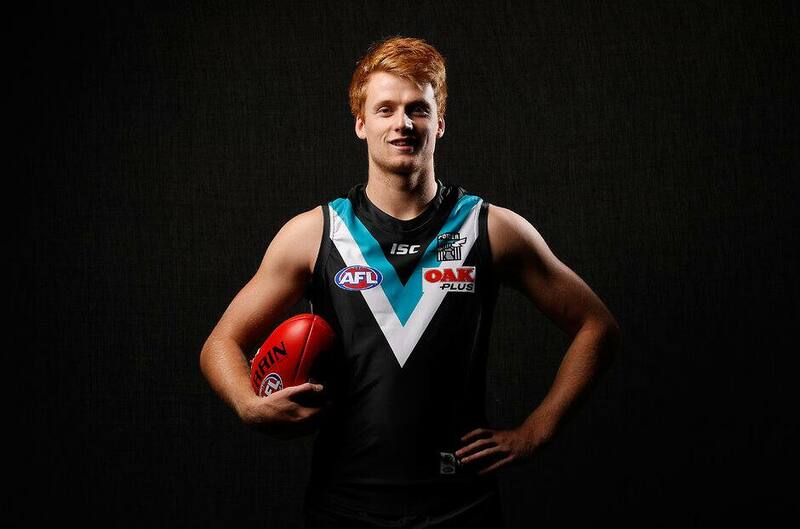 “We see Willem’s future as a bigger bodied midfielder,” said Chris Davies, Port Adelaide’s General Manager – Football. “He has good hands in tight and a very good work rate. “He has played on the outside while developing his body but we expect he’ll spend the next phase of his development as an inside mid. Drew had surgery on his right heel in May and will miss the rest of the season but is expected to be fit to return in time for pre-season training at the end of the year.